A projector screen may be used in a lecture hall. A projection screen can be used to create a home theater. Projectors produce an image onto a screen. A projector screen is a screen onto which either a still image or moving image, such as a movie, is projected. They are typically white or off-white in nature and may be curved or straight, depending on the situation. For example, a theater screen is often curved to help with viewing angles. The two main types of screens are front projector screens and rear projector screens. Of the two main types of projector screens, the most common are the front projector screens. These screens are usually white in color. The screen is also opaque in nature, meaning that very little, if any, light penetrates through the screen. This highly-reflective screen makes it an ideal surface for reflecting images associated both with motion pictures and still pictures. A front projector screen can be made out of nearly any material that is white or light gray. In fact, many people, especially for home use, may simply use a white cotton sheet. This makes for a very cheap home theater projector screen. However, vinyl is the material of choice for a movie projector screen. It is flexible and highly reflective. It is also light and durable, making it an ideal choice for a portable projector screen. The rear projector screen is often made of slightly different material and material with slightly different properties. It must, by necessity, allow light to pass through. Common colors for rear projection screens are black and light gray. 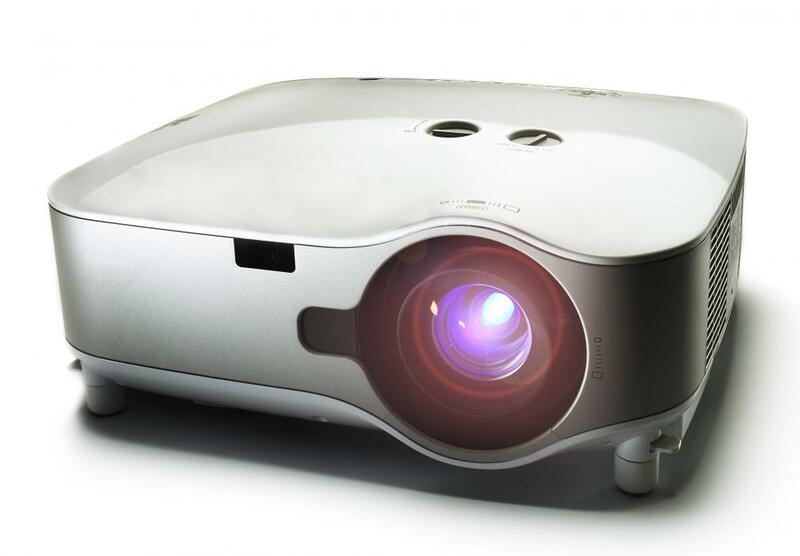 While not a true projector screen, the effectiveness of darker colors for rear projections can easily be seen by looking at nearly any television screen. A projector screen may either be portable or stationary. 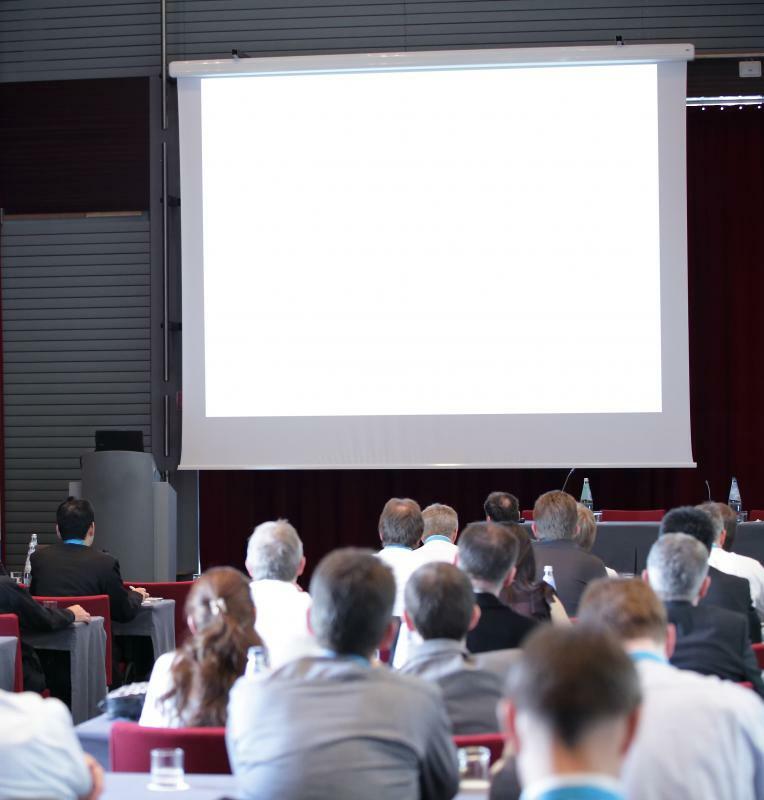 Portable projector screens are ideal for business presentations. Often, these portable screens come with a tripod for easy set up and use in places where hanging them from something else is not possible or practical. Its proximity to the projector will determine the size of the picture. Some projector screens also have the ability to roll up and down, much like a window blind. This allows for it to be used when needed, yet not take up space when not in use. These are often seen in classrooms and other areas where presentations may be frequent, but space is limited. In some cases, the rolling up and down of the screen can be automated, where the push of a switch will activate a motor that will do all the work. 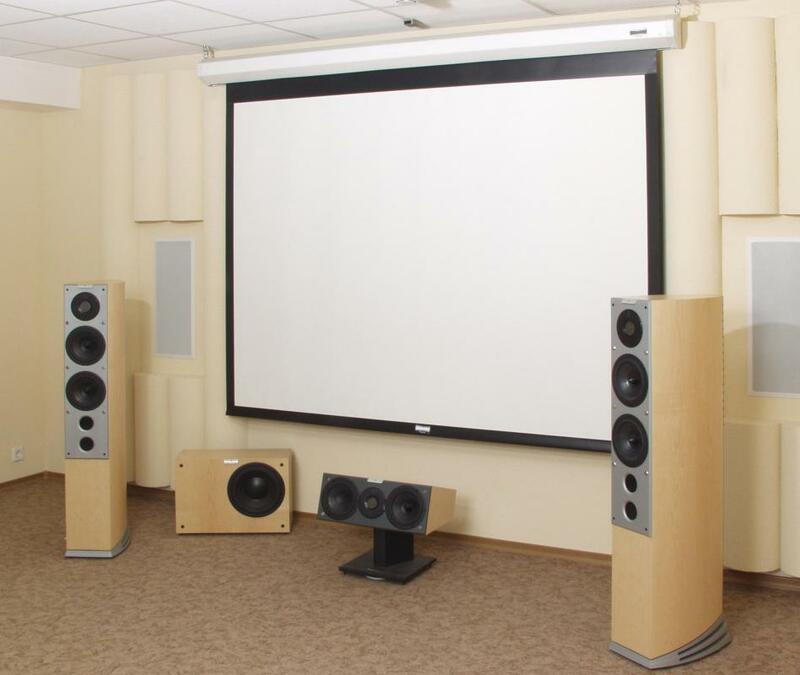 What Is Home Theater Automation? What Is a Front Projection Television? What is a Document Camera Projector?